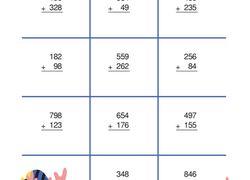 Learning how to check our work is essential to becoming strong maths students! 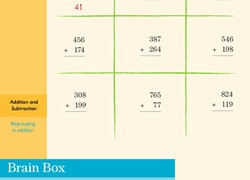 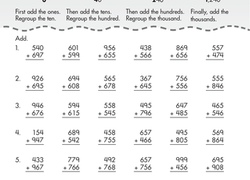 In this exercise, students will first solve the subtraction problems, then they'll practise checking their work by plugging the answers into an addition equation. 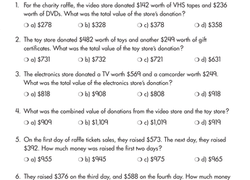 Help the rafflers add up the donations by completing word problems using three-digit addition.